This Listing has now expired. Please DO NOT contact the advertiser. 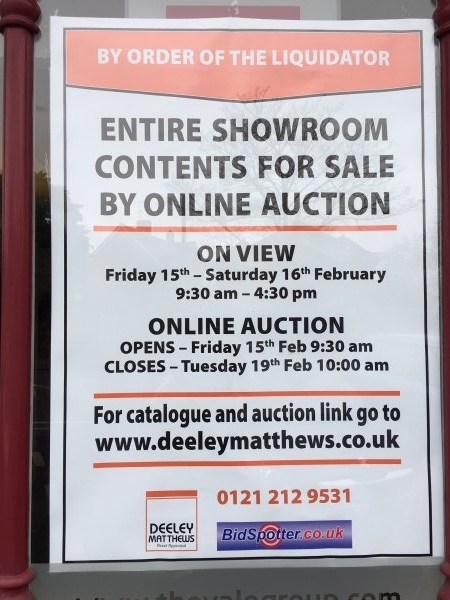 Vale Kitchens, in Tivoli, Cheltenham closed for business in January 2019 and the liquidators are running an online auction for the contents of the showroom, with viewing on Friday 15th Saturday 16th January 2019.